But how do you choose a course that fits your individual needs? Well, many people start thinking in terms of online versus offline courses, but one of the most important factors when choosing a course is your budget – you can find options that cost thousands of dollars, so they’re obviously not affordable to the majority of aspiring online marketers. On the other side of the spectrum, you will find an abundance of free digital marketing courses that promise you results without any financial commitment. But can free digital marketing courses compete with paid ones? To answer that question, we’ll compare some of the most important benefits of both so that you can make the decision for yourself. As you’d probably expect, paid courses have a range of benefits that free courses simply cannot match. Since paid courses are a paid service, you can expect them to be well-structured and easy to follow. Most paid digital marketing courses have a clear direction, a start, and an end, so that you can clearly map out your progress as you go along. 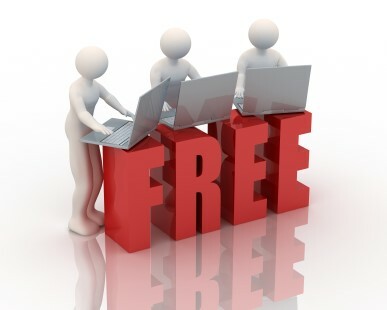 Free courses, on the other hand, can often be scattered, providing information here and there on different topics, without giving a clear roadmap on how to go through the course materials. It’s easy to understand why paid courses such as Instant E-Learning have higher quality learning modules – they have the resources and budget to develop intuitive learning interfaces, immersive videos, and easy-to-follow workbooks. The information is prepared in a way to give you the most out of every lesson because it is designed to fit into the bigger picture of the digital marketing curriculum, instead of being a one-off lesson that doesn’t tie in with everything else. Most paid courses offer some kind of certification after you finish, which can be very helpful when looking for a job or clients. Free courses sometimes also offer certificates, but they usually aren’t recognized and valued by potential employees since free digital marketing courses have a bad reputation. Paid courses have the budget to provide individual attention to each student – since you pay for the course, you can expect to receive feedback, consultations and even individual tutoring as you go through the course materials. Courses such as General Assembly are able to pair you with a mentor that can provide individual assignments and give you valuable feedback. This is obviously rarely available with free courses because of their limitations. Paid digital marketing courses are taken by people who have clear goals and aspirations in the digital marketing world, so they expect a certain level of depth in the information covered. Therefore, when taking paid courses, you will usually receive in-depth information that will be on-par with the practices of industry professionals. Free courses usually offer basic or beginner information that can be useful if you know little to nothing about the subjects, but is far from being enough for becoming a professional digital marketer. Finally, top-rated paid courses are usually developed by industry professionals that have years of experience, so you can trust that the materials presented will be relevant and easy to understand. Getting feedback from qualified instructors can also be an invaluable resource when trying to understand difficult subjects. Free courses are often developed by people that haven’t yet made a name for themselves or marketers that hope to sell you on something along the line, so you can’t always trust the information you are being taught. Free courses have their own benefits that can be important to some, although it’s easy to understand why free digital marketing courses will have their limitations. Obviously, the number one benefit of free courses is the cost – you can start without any investment and learn about digital marketing even if you are a complete newbie. Even with all the limitations of free digital marketing courses, they can be great for dipping your toes in the subject and figuring out if it’s something you want to pursue on a deeper level through paid courses later on. While most free courses are limited on their own, the internet is full of free information that is top quality, if you’re only willing to look for it. Therefore, if you supplement the free digital marketing course with additional learning materials you find online, you could end up getting an education that’s comparable to many paid courses out there. The truth is, many successful digital marketers of today started out learning the ropes by themselves and didn’t take any paid courses at all. Finally, with free courses, you don’t have to commit to anything – if you feel that the course is subpar after trying it, you can just drop it and start looking for a different one. With paid courses, the investment you make is often non-refundable, so you are likely to have to stick through with a course even if you don’t feel it’s right for you. While there are many free digital marketing courses out there, some of them offering solid information, they are usually not going to be enough if you want to pursue a professional career in the field. So, while free courses can be great for gaining basic knowledge, in the end, a paid digital marketing course is the way to go if you’re serious about learning the subject. Mark Meyerson is the Co-founder of Course Peek. Born and Bred in Sydney, Mark has close to 10 years of experience in the world of digital, specializing in Paid Search & Analytics. With a BA (Pysch) & an M.B.A. Mark is the co-founder and head of Search for the One Egg team.